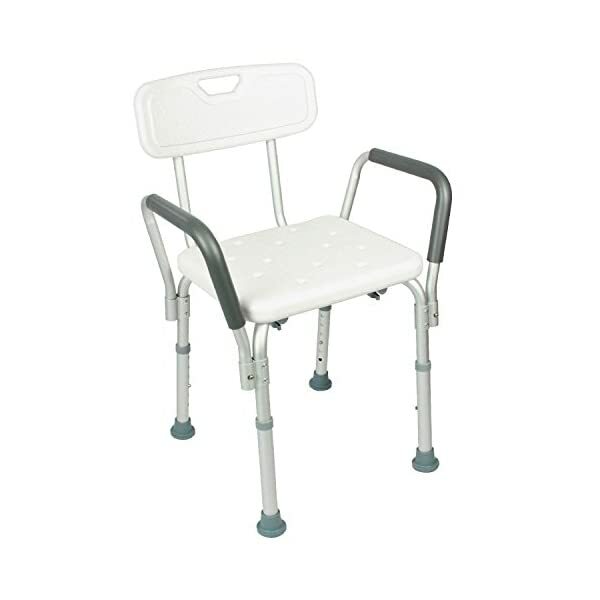 SHOWER OR BATHE IN COMFORT AND SAFETY with a bath chair with arms. 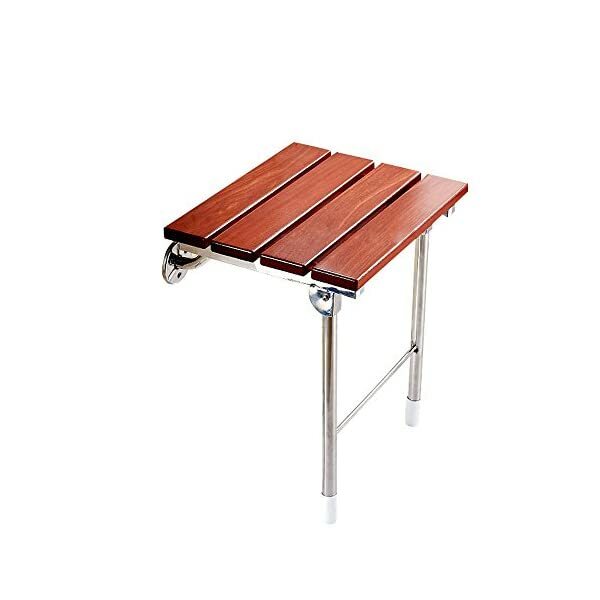 ASSEMBLES IN MINUTES – TOOLS FREE ASSEMBLY. 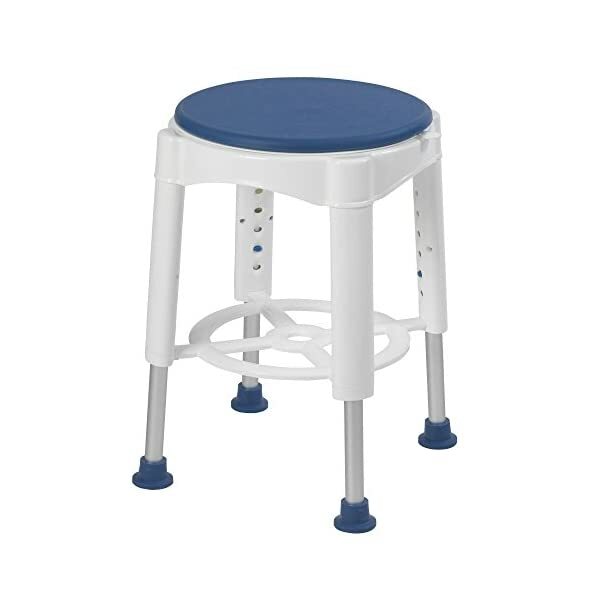 Push button – snap together design requires no tools and assembles and un-assembles in just minutes. 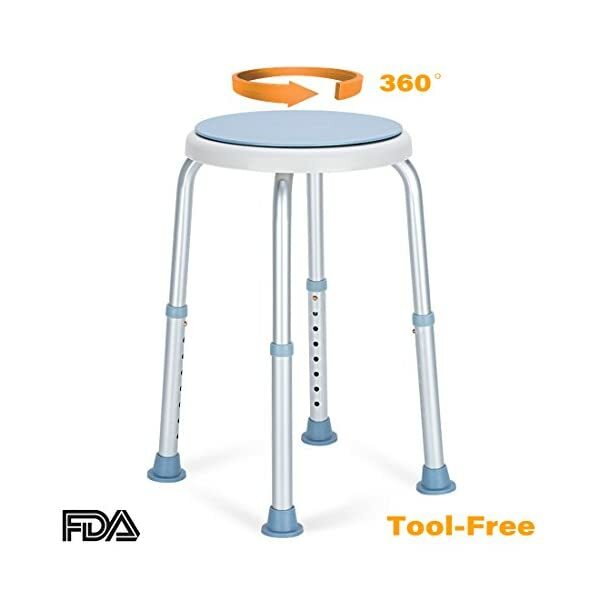 Great for storage or travel. 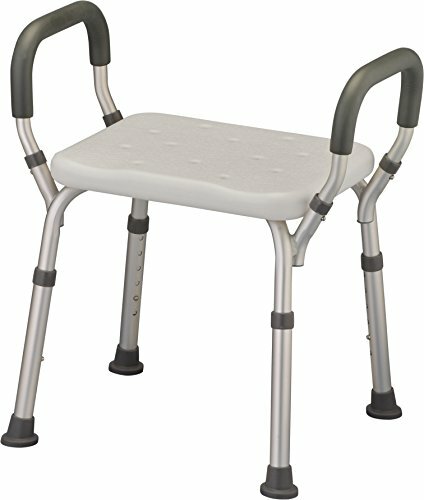 SPECIFICATIONS: Weight Capacity: 300 lbs., Width between arms: 19.25″; Seat height: 16″ to 21″; Seat dimensions: 15.75″W x 13″D; Overall dimensions: 21.5″W x 19″D, Overall footprint at the lowest adjustment: 18.75″W x 17.25″D; Overall footprint at highest adjustment: 19.75″W x 18.5″D, Product weight: 5 lbs. 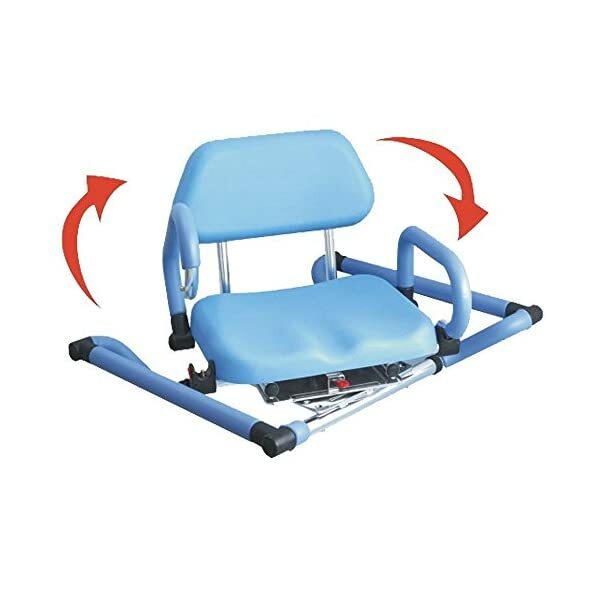 ❤️【360 Degree Rotating】Comfortable rotating seat that turns in unison with your body; whenever you find it necessary to reach for something or turn yourself while in the tub. 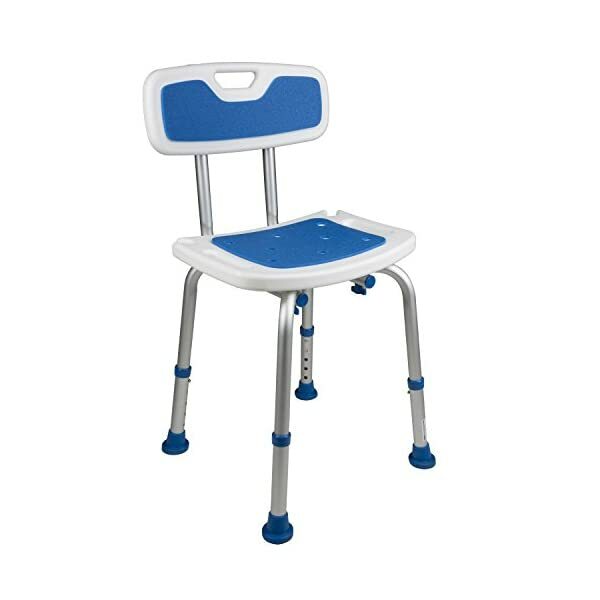 ☆ The solid wood panel is adopted for the seat panel, and the maximum weight of the wall chair is 160KG. 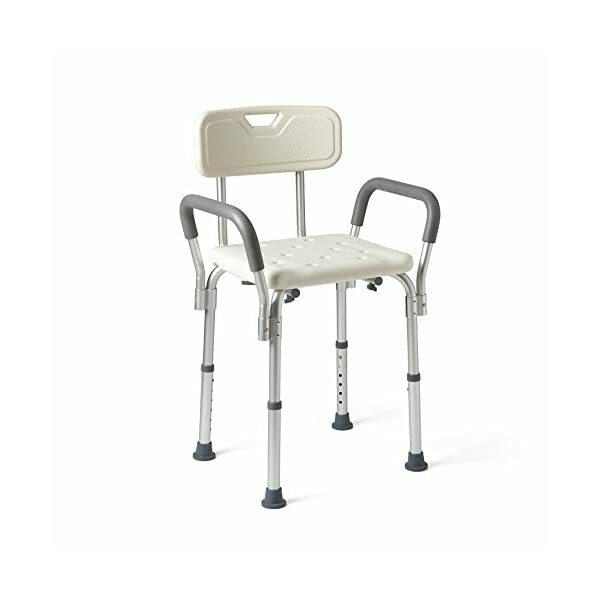 The elderly can use the bathroom more easily and they can also take care of every step of the pregnant woman. 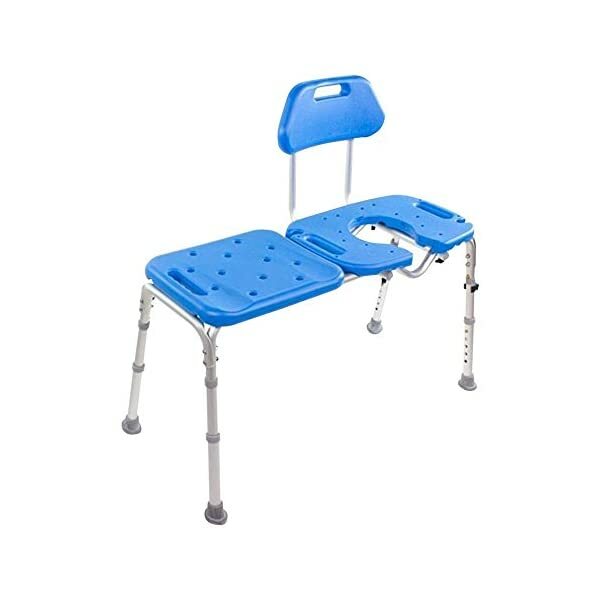 ☆ Bathroom folding wall chair adopts humanized design. When not in use, it can be easily turned up. When it is put away, the distance from the wall is only 8cm, which can save a lot of bathroom space.